When we teach students to read, we teach them techniques for finding context clues within a text. We show them how to annotate text, marking it up so they (and we, as their text guides) can visually identify their thought process throughout the text. In a visually rich world where students just as commonly encounter visual elements (photos, videos, gifs, emojis, memes, etc. ), we should also get serious about teaching students how to "read" the clues and context available within visual media. While marking up text-based media has always been far more common in literacy instruction, we now have tools readily available to annotate or "mark up" images in the same ways to help us uncover their thinking as they observe images. There are tools available on any device to do this with ease with your students. 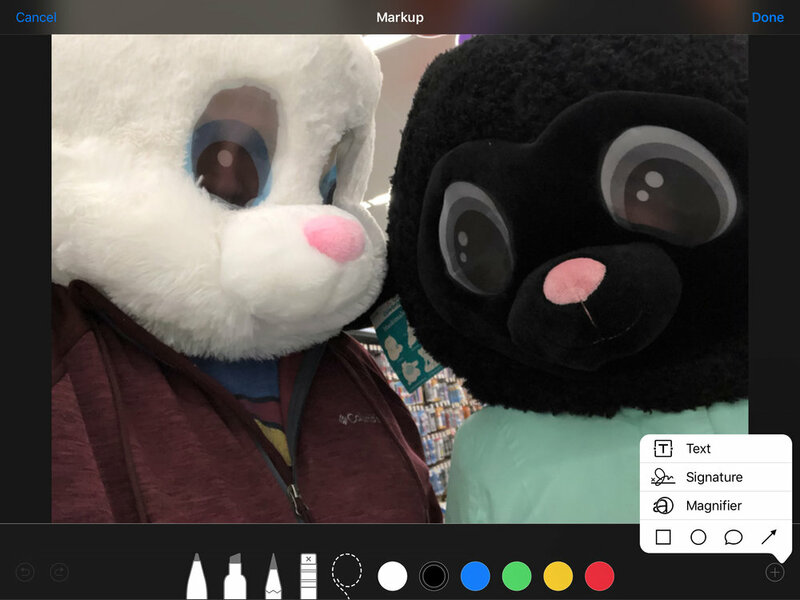 If you are in an iPad classroom, you can use the Markup tool in the Photos app. If you are using Chromebooks, you can just as easily use Google Drawings to do the same kind of activity in class. Teaching students to look closely as images is not a new idea. 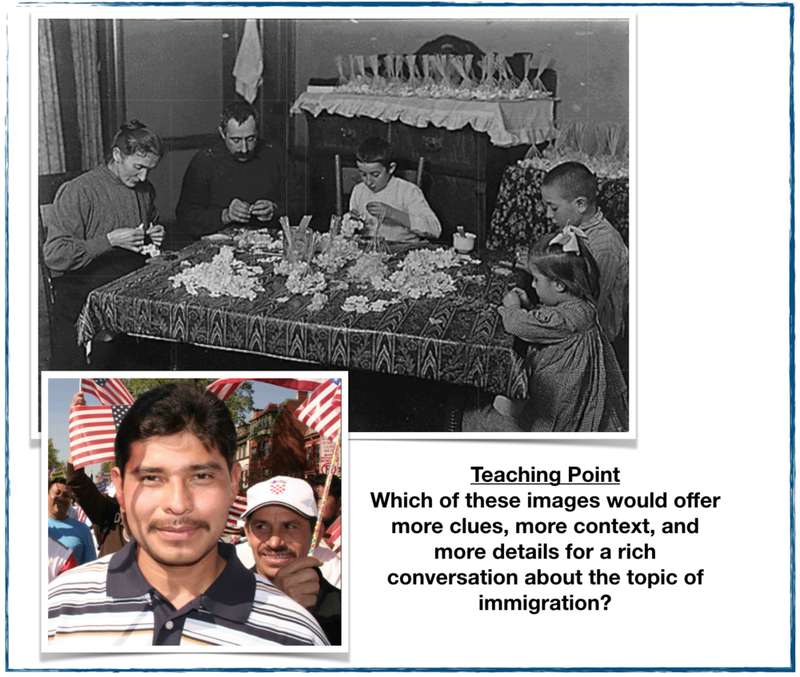 Teachers have long used images to capture a student's interest an attention, to create context, or to encourage students to ask questions about a topic/subject. However, to help students develop the skills of being image detectives, we need to carefully select the right images and utilize the right tools to let students "uncover" the key clues. The process starts with three key components: a topic, a driving question, and interesting imagery. Every content area lends itself to some level of imagery exploration, so this will work in any classroom. The real challenge is asking questions that students will find compelling, and that can truly be answered by the images that you uncover. To begin, develop a generic question you will have students answer, which will give you a starting point to begin your image search. This is the "rough draft" of your question for students to answer. You will need to be flexible with the question, adapting it to fit perfectly once you find the right image. Images are everywhere on the Internet. However, not just any image will do for this kind of investigation. When selecting an appropriate image for this type of lesson, the goal is to find images that have historical, geographical, or contextual clues hidden within them. There has to be evidence within the image to tell a story, which can in turn provide points for students to consider and discuss. "What is it like for an immigrant to start a new life in a new country?" 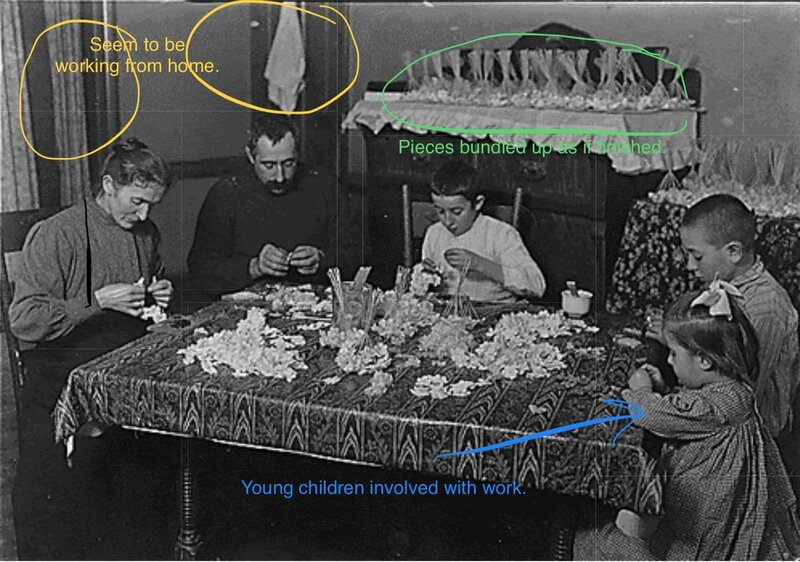 The top image is from a wonderful site that teaches students how to become Image Detectives. 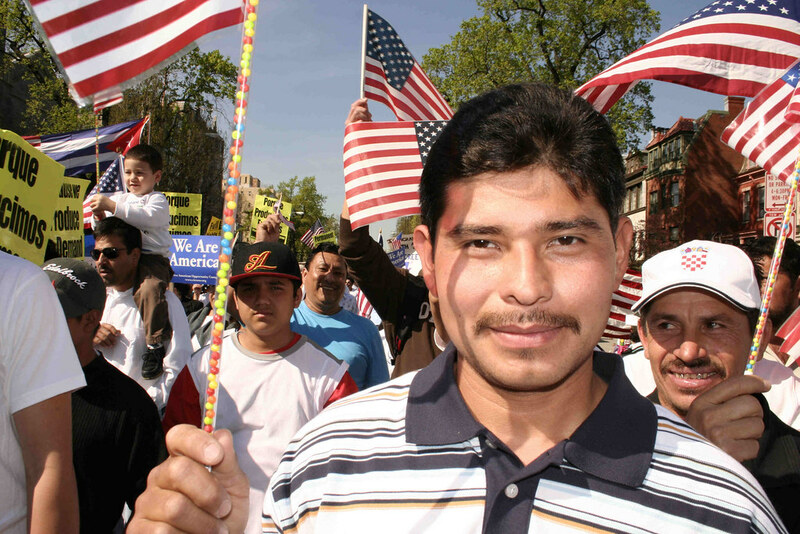 The lower image is from a Google search which turned up an image from a 2006 immigration march in Washington D.C. Both are images intimately tied to immigration. The lower image is far more timely, relevant to our students lives, and attractive to view (color, interesting subject, focused). But the upper image -- there is so much more richness of detail. While we could definitely foster a conversation with the lower image, the upper image lends itself to student exploration. And that is exactly what we are looking for when we select an image for students to explore and uncover. Once you have selected the right image, you can then tailor your question to the image to promote even richer thinking and conversation. "This family that has recently immigrated to America. What issues may they be confronting as a result of this life change?" For those in an iOS/iPad environment, marking up images on the iPad has become very simple. You no longer need an additional application. The Markup function on the iPad comes baked in iOS 10 and beyond. Start by distributing the image to your students so that every student has a copy of the image on their device in the camera roll. This can be achieved in a number of ways. Whether using the AirDrop function (especially if you use Apple Classroom where you can AirDrop to all students with one click of a button), or just placing the image in Google Drive or on a class website, the goal is for the students to save the image to their iPad Photos. Next, your students will be accessing the Markup tool in the Photos app (yep, the one that came with the iPad!). A full range of image editing tools will appear as a part of the "Markup" tool set. Open the Photos app, tap on the image you shared with your students, and "Select" the image. Then click "Edit" to reveal the editing tools, and select the ellipsis button (three dots). Select the "Markup" tool. The drawing tools will appear. When finished, select "Done" and the drawings/text/shapes placed on the image will be saved as a part of the image. You will need to teach students how to use some of these editing tools to produce better results. For instance, instead of handwriting on the image with the pen, use the text tool to type to make the writing smaller and more legible. Use shapes and arrows to point out specific details in the image. Use the pinch gesture to zoom in and out of the picture to get close to the details while drawing on the image. Here is an example of the work a student might produce. Notice how typed text makes it easier to read. Also, using color can help point out different types of details the student has uncovered in the image they are annotating. This instructional video from Kelly Hollis (@hollis_k) will demonstrate a similar process for marking up images using Google Drawings. Depending on the images a teacher has selected, there can be great clarity and agreement on what story is being told in the image based upon the clues that are available, or there can be considerable disagreement and discussion. As with any deep thinking activity, it is important to find ways to have students share their ideas/perspective and listen to the findings/thoughts of others. One way to do this in an iOS environment is to have students AirPlay their image to the classroom Apple TV if one is available. Here every student can quickly and efficiently share their ideas. Another way to do this is to have students select a partner and AirDrop their individual image to their partner for review and discussion. If you are in a Google environment, you can easily share Google Drawings with another student to start the conversation. Sometimes the details in an image can be rather limited. There may not be enough details to uncover for all students to have an opportunity to share. This does not mean, though, that any student should be allowed to opt out of sharing their thinking. To be sure all students get a chance to share, you can use Padlet to foster an online conversation. (I know that Padlet has become far more limited since introducing their pay model, but even if you only have three free Padlet boards, you can at least spark a conversation in your classroom. Remember -- for ed tech companies to exist at all, they need to be able to make a profit.) You could just as easily use a Google Doc or Google Slides presentation, though, shared with all students allowing them to upload their images to the presentation or document. The key is reflection and debriefing. How can you get your students to talk about what they have uncovered? When students talk about their thinking, they learn! And that is the ultimate goal in any activity we do with students. Feel free to share your ideas in the comments below about how you have encouraged your students to become image detectives. What tools have you used? What have you witnessed for results in student learning? Can challenge based learning find its way into our classrooms? Brain research has proven to us that experiences we perceive negatively are far more likely to stay with us as we age. I guess that explains why I so clearly remember the feeling I had as a young person when it was indicated that I was incapable of doing something because of my age and/or inexperience. It often started with an intense tightening in my throat, and nearly explosive rage inside, although I never showed it, of course. It would have been disrespectful to do so. But I probably had an almost intentional hurt look on my face, and neon red would glow from my cheeks to outwardly show the embarrassment I felt for being viewed as incapable to complete do any task. Yes, I can remember the feeling well, even though I struggle to come up with specific examples of the things I was deemed not ready to take on. I think the research overlooks another feeling, though. The feeling that comes along with being deemed ready to take on a major task. The feeling of having somebody clearly putting their faith in you to do something of importance or merit. Think back. Do you remember those times in your life? I remember them clearly. Like the time my mom trusted me to stay with my younger brother while she ran to the store. Or the time my baseball coach turned over pitch calling to me behind the plate. Maybe it was the day my Dad trusted me to co-coach a little league game with him. Or the time that my principal allowed us to run a new class event that was previously outlawed because another student had made some very immature choices. As I reflected on those times, something interesting struck me. School, the place that I spent so much of time at growing up, specifically my academic classes and teachers, are relatively void of any such experiences in my memory. I don’t remember too many times when my teachers were the ones challenging me to take a leap, to try something new, and to show that I was capable of something even I did not know I could do. It seems sad to me that the people in my life who were directly responsible for my growth academically, never challenged me to take a big enough risk that I could recall clear examples. I can even come up with examples where the very same people, my teachers, challenged me in big ways outside of the classroom (in extracurriculars or sports). So, I know it was not an issue of personality that caused them to not offer these challenges to me and my classmates. Instead, it leaves me wondering if the greater likelihood is that our classrooms were not designed to provide these kinds of opportunities for students. And in that design flaw, we miss an opportunity to connect authentically with our students and to give them skills and experiences where they can prove themselves. With all that we, as educators, are charged with doing to help young people grow, the structure that drives what we do with them daily is not really designed to provide students with opportunities to prove themselves in ways that they will remember long after they are with us. They do not get many chances in our classrooms to show us they can handle the pressures and the responsibilities that come with taking on projects, challenges, and real-world struggles. And we KNOW that they would find interest in these types of opportunities, and we KNOW these are the skills that they will need moving forward, even if they forget parts of the content we are teaching them. If we want to find ways for students to be more engaged in our classrooms, maybe that is where our change needs to start. And no standards or list of required activities can keep educators, some of the most innovative and scrappy people I know, from finding ways to inject those opportunities in our classrooms! Those of us who have never undertaken the discipline of developing technology at a deep, language-based, "nuts and bolts" level, often see what technology can do as a form of magic. The secrets behind how websites, apps, tools, and solutions are put together mystify us and seem almost separate from us. The skills needed to actually develop the tools seem unattainable. Recently I had an opportunity to get an inside look at the world of professionals that are solutions engineers and technology developers at SafeNet, a technology consulting company in Milwaukee. Beyond the power of seeing a working environment outside of the educational space (something we see far too little of as educators), what most stuck with me was the diversity of pathways that these employees had taken to arrive on this career path in the technology industry. One of our hosts was an accountant who had found a way to utilize macros in spreadsheets to make his job a little easier. We met an individual who was degreed for work in the exercise and fitness industry, but after only a few short years found himself returning to Milwaukee and landing in the technology industry. Another developer, now an engineer in charge of developing the cloud strategy for clients, was a philosophy major exploring a masters in philosophy. He took the road less traveled by most philosophers, though, and ended up in the tech industry as a developer. Throughout the day the same message was repeated — work in the tech industry is not something that requires a lifetime of focus and commitment to the field. Students do not have to be intensely coding starting in middle school and then follow it up with a four year degree in computer science. The reality is that technology, at least in many cases, is an industry built upon the interest, passion, commitment, and self-starting mindset of individuals who learn the skills needed to become a developer. Over the course of our visit, our hosts shared with us a couple of keys that would ready our students for a career in technology. While educators may not feel comfortable with the deep level coding required to build custom applications, we still need to help students understand that technology is malleable, customizable, and accessible. Some ways to do this on a surface level of development may be we allowing students to write formulas in spreadsheets, teaching them how to animate drawings or create customized animations in a program like Keynote, or develop websites and utilize embed code. Going a bit deeper, utilizing some basic coding apps or programs like Tynker, Scratch, or SWIFT Playgrounds are great ways to allow students to experience code safely and without a lot of teacher expertise required. Even utilizing resources like the Hour of Code are great ways to provide exposure to all students demonstrating the ab a deeper level of technology manipulation. While the depth of coding may not be critical, it is key that we begin exposing students to the larger idea that they possess the abilities to manipulate technology more deeply than by simply changing default settings. She went on to specify that the ability to work in a team, to be a part of the critical thinking process, to bring your experiences and abilities to the team — these were really the skills that they were looking for in a successful consultant. And she said it is largely the belief by many in the tech industry that no degree alone will give you that kind of experience and skill set. That is something that is learned from time-on-task engaging in authentic, meaningful, challenging projects. Are we giving students opportunities to build a portfolio of work that would fit this description? Is it work that they value enough to put in the time, energy, and commitment needed to be "all in" on the project. Passion for their work is something we can help students develop in classrooms today, simply by allowing them some choice in what they are working on, what the end product looks like, and the audience for which they are developing the project. Additionally, do these projects incorporate a team element where each member of the team plays a critical role in the completion of the project? This is another simple shift we can make in classrooms today to make sure that work students do is, at times, reliant upon the work of others. It is important to know that our focus in education on the four c's (creativity, communication, collaboration, critical thinking) are skills in high demand by employers. It was continually reiterated that innovative, outside-the-box thinking was the most important valued thinking on many projects in the tech industry. We may often think of creativity as an arts-focused endeavor, and in a way that applies here. More essential, though, was the ability to take a tool, a programming language, an unrelated concept, and piece it all together in new, creative ways. Several SafeNet representatives talked about experiences where they had a limited knowledge base on the team, yet they were able to rethink how what they had could be utilized differently for a new purpose. This mental agility is something we can begin to develop in our students regardless of the age level or content we teach. Clear, succinct, and ongoing communication is just as critical. Remember, most of the SafeNet employees we met said their consultants worked in teams, and they worked directly for clients. This means they have to be good at communicating: they have to listen closely, understand the clients needs, and ask questions to clarify. They have to engage in impromptu dialogue, read non-verbal cues, and anticipate needs and potential roadblocks. This is done verbally and in writing. And it is done daily with a wide variety of stakeholders, team members, and project managers. If this does not fit your traditional vision of a programmer, that is because the technology industry has changed. While there are definitely many times when coders have to intensely work independently to write eye-blurring lines of detailed code, that is not the singular quality required of a programmer. They have to communicate with teams and clients regularly in order to be successful. And these are skills all educators can help to builds in any content area or age level. One of the other keys that the team shared with us is that much of the work that successful employees in technology need to do is complete work that is done independently, on time, and under budget. While teamwork is important, many projects in the technology industry are broken into smaller components that individuals take on alone within an allotted time period. This is called AGILE development. There are other formulas for completing large project work, but the concept remains similar: take a big project, break it into smaller, more digestible chunks, develop, and then bring the work back to the team for feedback/critique. Often there is a project lead who will give direction. Students need to take that direction and run with it. They will then need to take responsibility for their portion of the project, complete it independently, often within a window of one to two weeks, and then come back to the larger team with the completed work and present it to the team. At that time the team offers collective feedback about the direction of their individual work, assesses how it will fit into the larger app/program/tool they are building, and then the process begins again with the next part of the project. This feedback loop is an iterative process that requires independence, flexibility, and a willingness to fail fast and fail forward. Being "done" with the assigned portion of the project doesn't really exist until the project is turned over to the customer in its completed state. There are ongoing changes and tweaks to all code written throughout the development of the tool, and thus students have to learn to take constructive feedback in step if they want to be successful within the technology industry. While these may seem like skills we have been developing in students forever in schools, the underlying question for me is clear: Do the students enjoy the work they are doing enough to put the effort in to create something worth discussing with somebody else? And are they passionate enough about the work they are doing to want to improve it once they receive feedback? If those elements are missing, it is hard to teach them to iterate and continually improve their school work, yet those are the skills that were identified as necessary to a successful career in the tech industry. While our focus at SafeNet was talking about jobs in the technology industry, it is clear that technology has impacted nearly all business sectors. Technology will continue to evolve, spread, and root itself into more business models moving forward. According to code.org, we know that we already are not producing enough students to fill the technology and computer science jobs available in Wisconsin. Add to that the spread of technology focused jobs in more businesses, even if they are not jobs requiring deeper, language-based coding, and you have a scenario where many of our students would strongly benefit from having opportunities in school to build skill sets that allow them to feel confident enough to step forward and apply for jobs requiring them to engage with technology at levels beyond just knowing how to work with software and change basic user settings. Whether we are ready or not to teach many of these skills to students, our kids will require them as they enter the world of work. The good news is many of these skills are within most educators wheelhouse to teach, if we are willing to make changes to shift to a more project based, collaboratively focused model of instruction. The skills students have traditionally needed to be employable and successful at work are as important as ever. These are often referred to as soft skills, and as reported in this LinkedIn article, for entry level positions they were recently ranked in importance by potential employers in the following order: 1) Communication, 2) Organization, 3) Teamwork, 4) Social Skills, and 5) Punctuality. However, with the changing shift in the business landscape spurred by technology, two keys shifts are happening in what employers are looking for in potential employees. One key shift is that more technical knowledge and skills are being required in ALL aspects of work. By technical, we mean highly technical. Potential employees are increasingly being overlooked if they do not have skills such as an ability to collect and analyze data, write computer code, strategize how to best reach an audience digitally, and to quickly adapt to new digital tools and skills related to a rapidly changing job description. Many organizations have studied and reported what employers are most looking for, and regardless of who is reporting the findings, these seem to be pretty consistent themes. For further exploration, check out these articles from Forbes and Monster. Further emphasis on how important these very technical skills are to employers can be found from a statement published on Fortune.com, in a 2016 article former General Electric CEO, Jeff Immelt said: "If you are joining the company in your 20's, unlike when I joined, you are going to learn to code. It doesn't matter if you are in sales, finance, or operations. You may not end up being a programmer, but you will know how to code. It is clear that there is strong trend in employment; there is wash between the always necessary soft skills employers have long valued and the technical skills that employees need to do their job in a highly technical society. Even for employees in roles that are outward facing and customer focused, these people are far more likely to be communicating digitally, meeting via web conference software, and building digital training platforms for clients and customers. A blog post from LinkedIn identifies that these skill sets no longer independently exist, but instead merge together into the skills that employers most need from their future employees (our students). And the reality is that these are skills our students do not inherently, natively have by being born in an era of cell phones and social networks. We no longer live in a world where adopting technology as a part of our daily educational practice is optional. Students need to learn academic content, develop soft skills, and develop technical skills that will prepare them for their lives ahead. With the systemic changes made in our district to set the table for meaningful technology use, most barriers to adoption have been removed. The only barrier that still stands largely in the way of adoption, then, is our own decision to shift our teaching practice. For educators, it is no longer acceptable to simply opt-out of technology use in the classroom. The stakes are too high for students if we choose not to give them these experiences. And assuming that students simply have the technical skills they need because they were born with technology -- well, that can debunked within a few minutes simply by asking students to do certain learning tasks with technology that focus on productivity, creation, and collaboration. They need support, encouragement, and advice on how to use technology purposefully and meaningfully, even if they are confident they know how to actually use the software and push the buttons. Educators are at a point of decision: will we make the productive, meaningful use of technology in our classrooms a priority? 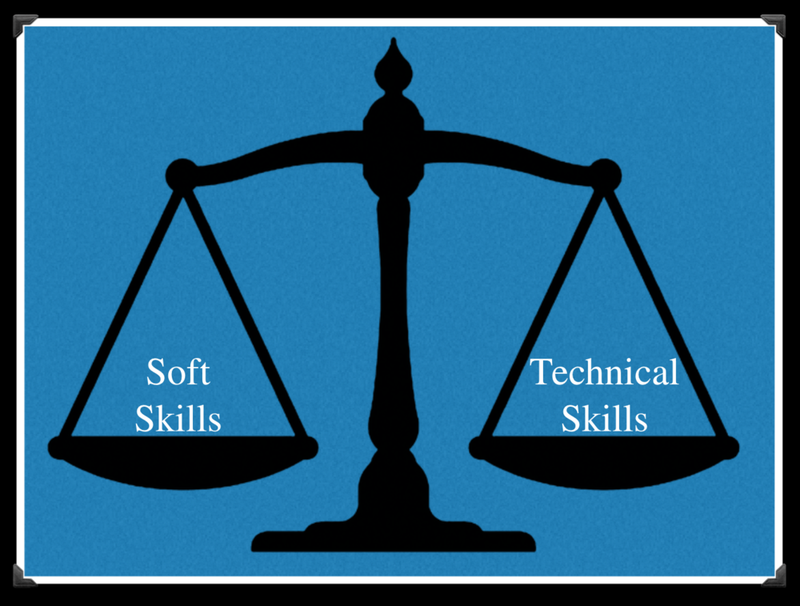 Will we prepare our students for college and careers by challenging them to develop the soft skills needed while using the technology that will shape their future lives? The only thing stopping us from doing this today are the personal barriers that we have put up for ourselves. And the good news: when you are ready to take the next step and give kids these experiences, there are people in your communities willing to support you. In a classroom where we need to make things visible for all of our students, or when we want to model a process for students, nothing beats a document camera. They give us a live video feed that we can quickly and easily project to the class. And the great news -- you already have a document camera available to you. It's your iPad. Paired with an Apple TV and Airplay (for a wireless experience), or even hard wired into a projector, the camera app on the iPad gives us a live video feed that can be easily shared with the class. The process is easy. Find, make, or buy a stand that will allow you to be hands-free with your iPad with whatever is below (or in front of) the camera. Then simply connect it to the projector and open the camera app. The trick is finding a great stand at a great (or no) price. You can buy iPad doc camera stands, but if you look around you'll probably find exactly what you need in your classroom or around the house/apartment. The stand at right meets all of the requirements. The stand must be sturdy. iPads are expensive, and setting them on a wobbly stand where they may fall is not a great idea! It has openings at the top to safely set your iPad on while allowing the camera to peer through. It lifts the iPad up from the "stage" below so you can fit objects of various sizes underneath. There is a clear working area underneath to fit the demonstrator's hands. This is especially important when annotating text or "modeling" for students. So go ahead. Look around. What clever ideas have you had for making your own useful iPad document stand? By the way, this is a GREAT design challenge for students. Set forth the design parameters (something similar to what we outlined above) and let students start thinking creatively.